Instagram is a great social platform to bring a strong identity to your brand, have interaction with new followers and expand your reach. Not only are Instagram Stories fun and creative, but they’re great for growing your engagement, building brand awareness, driving traffic to your website, and even making e-commerce sales! Today, over 400 million people use Instagram stories each and every day. If you are a small business in McKinney looking to market to your customers – this is one place you are going to want to be. However, if you’re simply posting images to your business’s Instagram page, you’re missing out on a major opportunity on the platform: Instagram Stories. With stories, you are able to show the personality of your business. Is it fun, serious, very people oriented, etc? Instagram stories are great to show a behind-the-scenes look at your business. Stories can also allow you to build authentic relationships with your followers. If you’re still wondering: What’s the point? There are over 400 million active daily users of Instagram Stories, and 33 percent of the most popular Stories are from businesses. Not only that, but 20 percent of Stories posted by businesses result in direct messages. While it might sound daunting at first, you’ll never know until you try. To help you get started, here’s a quick guide to using Instagram Stories. First and foremost, it’s important to prepare — brainstorm a plan for the story you want. It’s all about the images- you can upload new or older images to Stories now. Next, figure out the best time of day to post by taking a look at your audience. 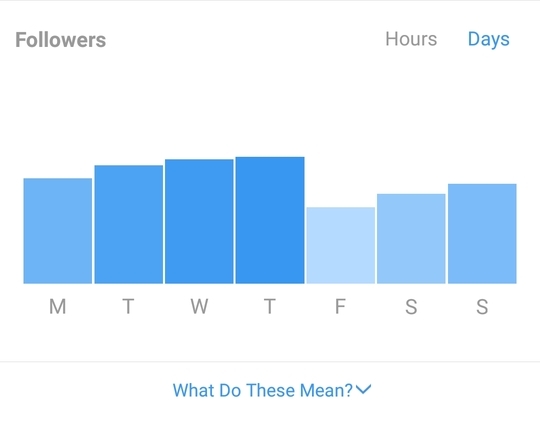 Generally, user engagement levels are highest on Mondays and Thursdays between 7 and 9 p.m., but this can vary based on your followers. Another important piece of advice is to make an impact in the first four seconds of your story. Viewers’ attention drop after four seconds, so it’s important to get to the point. Within the world of social media marketing, and especially within the world of Instagram, Instagram Stories is an important place for your business or brand to show up. Among all the social platforms, Instagram is where people engage the most. If your business needs help with Social Media Marketing in McKinney, TX or anywhere in the Dallas area, please contact us at Information@LuceMedia.net. If your business needs help with social media marketing in McKinney, TX., please call us at (469) 907-1057. Luce Media has deep expertise in Digital Marketing, B2B Marketing, Internet Marketing and is a well established Digital Media Consultant in McKinney, TX. Every small business needs customers. Without qualified customers, it would be hard for any type of business (big or small) to survive in the long run. What’s the best way to acquire customers? Social media marketing for small business. While there are many reasons as to why you should use social media marketing for small business to enhance and grow your company, the most obvious being, it will help you win more customers. And help your company gain more prominence. With the growing popularity of social networking, there is little doubt that your potential customers are using major social media platforms such as Facebook, Twitter, and Instagram. And the best part is, many of these social media users (your prospects) visit these platforms every day. Here are some stats to help you understand the importance of social media marketing for small business and why you need to take it seriously. According to a survey conducted by eMarketer, 88% of businesses use social media. 96% of the people who talk about your brand online aren’t following you on social media. Customers spend 20% to 40% more on products/services by companies who engage with them on social media. When you use social media marketing for small business you can easily reach out to your target audience and build a long-lasting relationship with them. This is a highly effective way to build a brand that people trust while getting more bang for your buck. Also, when compared to traditional marketing techniques, with social media marketing for small business you have a higher chance of getting a positive return on investment. This is due to the fact that marketing via social media is much cheaper for a small business, especially one with a limited budget. Being a small business owner, you should see social media as a robust tool that can help build strong awareness, increase the number of sales and build a real customer base. When you truly understand the potential of social media marketing for small business, you will see that the results that you achieve are far more better. Let’s look into four relevant social media marketing for small business tips that will help your company gain an edge over the competition. When it comes to social media marketing for small business, having a strong and a clear strategy is the first step towards finding success. There are many reasons why a business may fail to get results with social media marketing, but sometimes it is only because they did not know what they were doing. Every action you take towards building your social media presence and marketing your brand should be carefully planned. It doesn’t matter what kind of business you run or who your target audience is, as long as you have a plan laid out, you will find it easier to overcome any challenges that you come across. Here’s how you can create a solid social media marketing plan for small business plan. What do you want to achieve with social media? When using social media marketing for small business, it is important that you set goals and objectives that actually help you grow. For instance, if you are marketing on Facebook, you should not only focus on getting more likes to your posts and your page but also try to boost the number of leads and sales you’re getting. Try to align your social media goals to your business goals. When leveraging social media marketing for small business, it is easy to get stuck on vanity metrics rather than improving the bottom line of your business. But do understand that social media will only be beneficial to your small business if you’re ultimately getting more customers using it. Or else it’s simply a waste of your time, money, and energy. In order to get the most out of social media marketing for small business, it is crucial that you know which of your customers and prospects are already connected to you on the major social media platforms, and how they perceive your brand. It gives you a better idea of your position in the social media arena. By conducting a proper social media audit, you basically understand your current social media following and also learn which platform is mostly used by your customers so that you can tap into it. A social media audit also gives you knowledge of the areas that you need to improve on. And a better perspective on how your competitors are building their social media presence. Remember, the more you know about your customers and your competition, the easier it will be for you to win the social media game. Which in turn helps your business survive and grow. If you don’t already have social media accounts for your company, it is time you create them. However, it is extremely important that you only work with social media networks that will directly help your type of business to grow. In other words, the social media network that you dedicate your time to should suit the goals of your small business. Once you are through this step, you will need to build your social media presence on the network of your choice. This does not mean that you post any random type of content on your social pages. Every single step that you take to enhance your presence should match your big and small business goals. Your social media activities should also be in line with the likes and dislikes of your target audience. Regardless of what you want you to achieve with your social media marketing activities, make sure that each of your accounts reflects your objectives and your core brand values. When you are doing social media marketing for small business, it is easy to get confused and misunderstand what your audience is looking for. This can lead you to create content that does not go well with your overall business goals. Which is why you need to spend time looking and analyzing the type of content other businesses are posting to their social media accounts. These companies can be your direct competitors or may even compliment your business. The idea is to get a clear understanding of the type of content that is working for them. Look for patterns and see what’s fetching them the most social response. You can also leverage social listening to find insights about your prospects and what they want to see from you. This not only ensures that you create appropriate content on a regular basis, but it also helps you stand out from the crowd. When seeking inspiration, it is not necessary that you only stick to analyzing other small businesses using social media marketing. You can also go beyond and actually learn from industry leaders and bigger brands such as Starbucks, Oreo, Netflix, Apple, etc. It allows you to grab some real social media soci lessons firsthand. Remember, these big companies have huge budgets that they allocate for social media and a lot of what they do is backed by real research and understanding. When you grasp their way of doing things and see how they are implementing their social media tactics, it gives a real inspiration to formulate your own strategy. Creating quality social media content is not enough. You also need to make sure that it reaches your followers on a consistent basis. An effective way to share the right kind of content is to use a social media calendar. Without complicating things, a social media calendar is nothing but a detailed schedule of the type of content you will be posting to each of your social media accounts. It gives you the much-needed clarity to post social media updates that matter. There are multiple ways to create your social media calendar. You can either choose to go the simple way by using a spreadsheet or calendar in your Google Drive, or use a more robust approach by using a paid tool. It doesn’t matter what tool you use to create your calendar, what actually matters is how detailed it is and how you will be executing it. Because ultimately your precise execution plays a major role in making your efforts successful. Having a clear social media calendar allows you to stay accountable, be consistent, save a ton of time, get more productive, and achieve peace of mind – all of which contributes to building a results-oriented social media marketing approach. One of the things that can impact your social media marketing for small business results is the choice of your platform. In order to get the most out of social media marketing for small business and make your brand stand out from the rest, it is crucial that you choose a platform that is suitable to your business goals. If not, you may end up spending your time and money on a social network that will most likely not give you a favorable return on investment. Do not make the mistake of selecting a social media platform based on a wild estimate or on what others are doing. It is important that you take into consideration your target audience, their preferences, and other demographics before starting to work with a platform. Let’s look into three of the major social platforms, Facebook, Instagram, and LinkedIn and what makes them different. One of the reasons why Facebook is an attractive option for social media marketing for small business marketers is because it has over two billion monthly active users, which makes it huge market to tap into that a small business may not otherwise be able to reach. The kind of reach you can experience with Facebook cannot be found with any other social media website. Which is why having a strong presence on Facebook, can help your small business go to the next level. Another important thing to consider is the fact that these days a lot of people are searching for products and services directly on Facebook. That’s right, gone are the days when Google was the only search engine on the Internet. Today, Facebook has given people a new option to search and find what they are looking for. Facebook users largely fall into the 25 to 34 age bracket. When it comes to genders, 47% of Facebook users are male and 53% of them or female. Talking about senior online users, 56% of baby boomers (65+ in age) are found on Facebook. 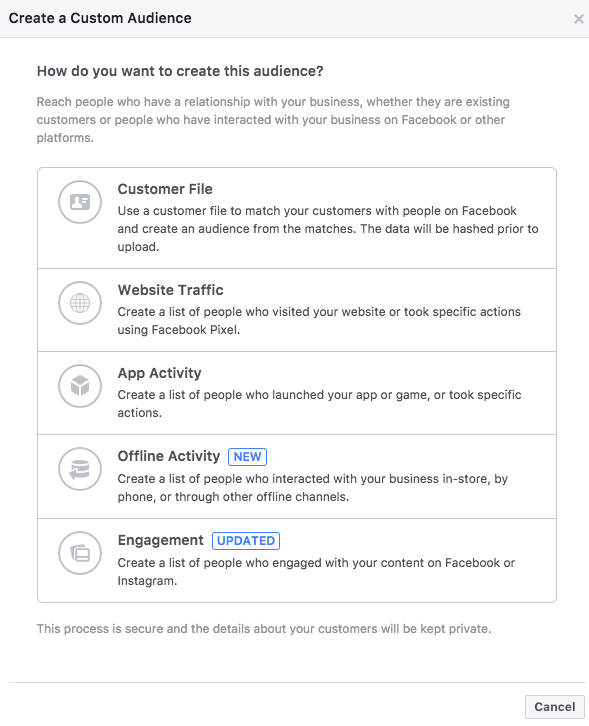 Facebook has become a center for businesses and brands to connect with their target audience. It is THE social platform that gives you access to a large number of eyeballs even with a limited budget. This is exactly why the advertising system that has been created by Facebook is one of the most efficient ones out there. 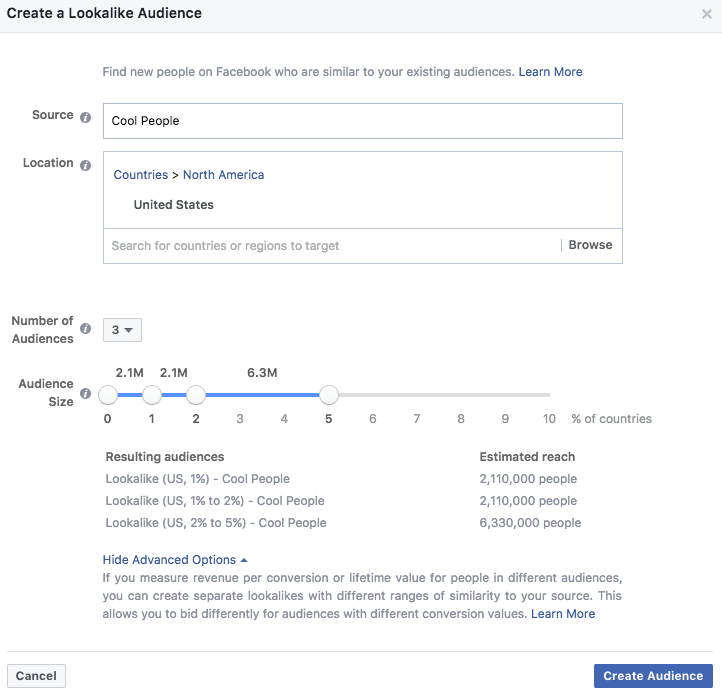 The level of targeting that you can achieve with Facebook ads can help small businesses like yours get the best return on their investment. Having a strong presence on Facebook is as important as having your own website. It gives you an edge over other small businesses in your niche that do not use Facebook to do market the business and build new relationships. The best part about Facebook is that it helps you connect with a large number of relevant people at a fraction of a cost. These can be your potential customers that you may not have reached without Facebook. Facebook also has live streaming features that allow you to reach out to your audience in real time. This is a great way to grow and nurture new relationships and improve the level of trust people have in your brand. Last but not least, Facebook also allows you to integrate your e-commerce business and helps you increase the number of sales in the long run. Obviously, this depends on how efficiently you leverage Facebook and the kind of effort and money you put into making your brand’s presence felt. If you are active on social media in any way then you should know about the popularity of Instagram. Instagram is a photo-sharing app and a social network that is owned by none other than Facebook. When you see Instagram’s overall mission and how its parent company Facebook wants to position it in the market, you will be able to understand the true potential that the social network offers. It is much more than a photo sharing app. Which means as a small business, you should be able to find your target audience on it and also connect with them visually like never before. 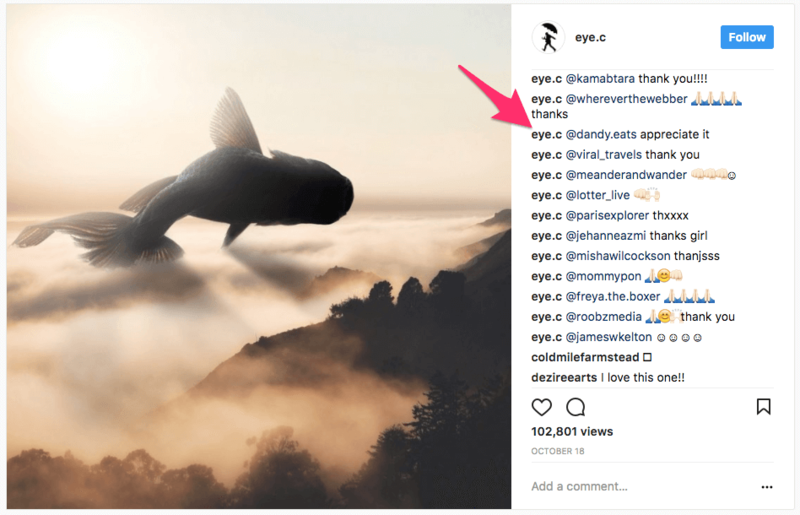 Every Instagram user knows that being an Instagrammer is all about sharing and spreading attractive visuals in the form of images, videos, and stories. And they’re doing their part. 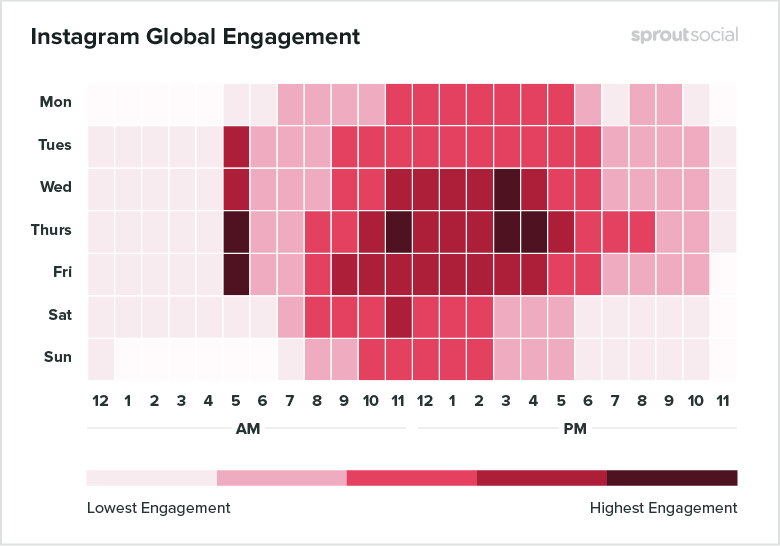 Which is bringing in more users day in and day out, and increasing the level of engagement? Slowly and steadily Instagram is becoming one of the most important places on the Internet to connect with other people by sharing visual content that actually matters to them. 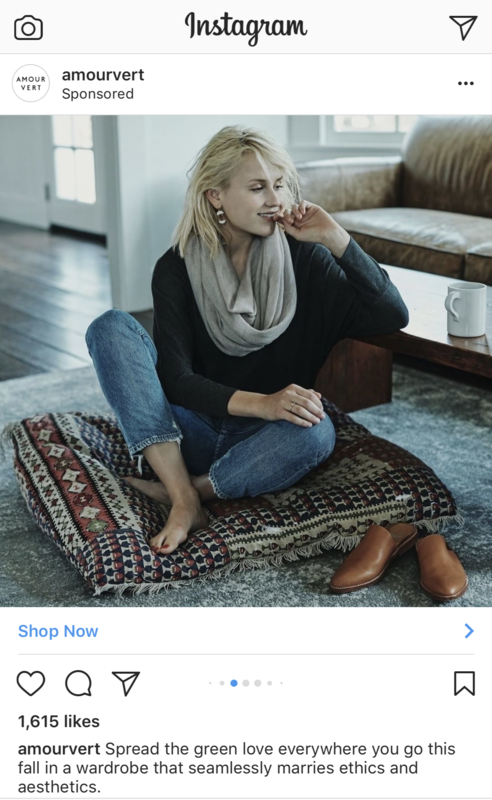 More and more brands and small businesses have started to use Instagram creatively to not only spread awareness but to also generate sales. Gender wise, Instagram has more males than females. About 51% of Instagram users are male and 49% of them are female. The US. is a popular market for Instagram as 55% of Its users fall into the age bracket of 18 to 29 years. This means Instagram is being dominated by millennials. After the millennials, the users who have the most share on Instagram come in the 30 to 50 years age bracket, making up to 28% of the overall user base. Instagram will work amazingly for your business if you have the right visuals to share. For example, if you are an e-commerce website catering to a female audience, then Instagram is a great place to share pictures of your physical products and engage with your potential customers. What makes Instagram different from the rest of the social networks is that it allows you to showcase and present your products the way your prospects actually want to see. People want to connect to a product on a visual level before investing in it. By creating and posting relevant visuals, you will be able to tell a story that your target audience can experience in a unique, memorable manner. What could be more appealing than that? You can also leverage Instagram’s unique stories feature and take people behind the scenes. Show them what they would not normally see. For instance, you could give them an office tour or show them how your team works in the background. This is a perfect way to document your business’s journey and share it with your photos to grow your brand. Instagram allows you to communicate with your audience in more than one away. You can even go a step further and communicate with your followers on a much deeper level by leveraging the power of direct messaging. This way you can connect to your audience in a more personal manner. Which can obviously have a positive effect on your business and how people perceive your brand. LinkedIn is where the web’s professionals hang out. It is a social network that lets professionals of all levels connect with each other and create more opportunities along the way. Some people see it as an official version of Facebook, with the exact tools you need to grow your brand’s reach. There is absolutely no doubt that LinkedIn gives you access to users that you may not be able to identify on other big social networks like Facebook and Twitter. It is where business happens. No wonder Microsoft spent more than 25 million dollars to acquire it in 2016. About 56% of LinkedIn users are male and 44% of them are female. 25% of regular users on LinkedIn fall into the 18 to 29 age group. More than 60% of LinkedIn users come in the 30 to 65 years age bracket. LinkedIn offers some of the most relevant and user-friendly features for a small business to take advantage of. First and foremost, LinkedIn has a community of professionals that love to engage with other professionals and brands. They have a keen business sense and understanding of how to connect and work with others. It’s a social media platform that offers you a professional type of setting to build connections with other businesses that are also active socially. Which means as a small business it’s easy for you to become a thought leader by leveraging the power of the LinkedIn community. You can use LinkedIn to increase your brand awareness and get more people to show interest in your business by creating a dedicated company page. Even when you are looking to hire someone for your small business, LinkedIn allows you to create and post targeted job vacancies that can be found by the right candidate. Yes, the LinkedIn advertising platform is a little expensive than that of Facebook, but it can be worth it, especially if you are in the B2B sector. Use the above information to analyze and find out what social media network would work best to help you grow your small business. If needed, you may have to spread out your efforts over multiple social media sites. One or many — your decision should depend on your business goals. Your social media marketing for small business “adventure” will be short-lived and outpaced by your competitors if you fail to understand your target audience. You need to know your audience like the back of your hand to get a better picture of their pain points and also of what excites them. You need to know their goals and objectives. How well you know your audience can be clearly seen in the social media content you create. If the content doesn’t offer value to your audience and doesn’t help them in a worthy manner, then they will avoid reading it. Which will obviously affect the number of social shares and followers you get in the future. When you understand your potential customer and what they are looking for, it becomes easy to connect with them on a higher level. Your business will be able to generate more numbers and add to the bottom line with each customer you connect with. If you look around, you’ll find that more than half of the businesses haven’t worked on creating a buyer persona, which is the first and the most basic step to knowing and serving your audience. The more you know about your customers typical day and the hurdles they face, the easier it will be for you to live up to your promises and give them worthwhile solutions to their problems. To know your audience, you need to do some research about them. This allows you to create a realistic and precise persona. This leads you to learn about the important details of your customers that you wouldn’t have found otherwise. Begin by understanding your current customers and how you interact with them. Learn about their habits and how they interact with your brand. Do you have some customers who are a big fan of your products? Do some of them buy from you again and again? What traits make them different or similar to others? Asking yourself the right questions can help you discover the common points between some of your most valuable customers. Based on this information, you would be able to create a strong persona that helps you connect with potential customers on social media. When you’re using social media, you also have a unique opportunity to connect to customers that have complained about your product/service on Facebook or Twitter. These customers with a bad experience can offer you a lot of unique advice on where you’re going wrong and how you can improve. Once you have the minute details that you find common between the best customers, it’s time to organize them into different personas, which helps you target with more precision when using social media marketing for small business. You can easily do this by creating a list of customers within your audience that share the same kind of goals and face similar challenges. Create separate groups out of these customers and categorize them. Each category you add is nothing but a unique persona that you will be leveraging later on. For instance, if you are a yoga teacher, some of your students may want to do yoga to perfect their posture while others may aim to do it for building muscle strength. While both of these customers want to do yoga, but for different reasons or goals. Which is why it makes sense to create two different personas for them. When you give a name to your buyer persona, you’re achieving two important things: first, it will be easier to connect with your buyers when you feel that you are actually interacting with a real person. Secondly, it can help you create far better content that is personalized or customized to the right set of audience. Businesses that take buyer personas seriously make sure that they focus on the details. So if you can, add a picture to each of your buyer personas to make them easier to connect to. The more realistic, the better. Many small businesses think that social media is only about building a brand and growing awareness. But did you know that by not leveraging social networks for promoting your products you’re actually leaving money on the table? That’s right. Social media is huge and when used the right way, it can bring in a ton of sales to your business. Now, if you’re thinking that promoting via social media is just about sending out a tweet or sharing a photo on Instagram, then you’re wrong. You need a targeted strategy to make sure you reap the best results from your efforts. You have to cater to your social media followers by balancing valuable content with promotional content. In other words, most of your social media activity should be non-promotional to build trust and add value to your follower’s lives. A small percentage (say 20 percent) should be focused on actually increasing your sales numbers. For every 8 engaging and informative tweets, share 2 promotional tweets that help you increase your customer base. You should also leverage the right type of content for promotion based on the social network you’re working on. Each social media site is different in terms of the content its users share. You have to fit in and create content that goes with the overall theme of the network. If you need more advice on how to implement a strategy for social media marketing for small businesses – that’s our specialty! Check out our social media management services and then schedule a time to talk about how you can leverage all the potential customers out there waiting to see your brand! Facebook is entering a tough transition period where it won’t take chances around data privacy in the wake of the Cambridge Analytica fiasco. That’s why it’s moving up the shut down of part of the Instagram API. It’s significantly limiting data available from or requiring approval for access to Facebook’s Events, Groups, and Pages APIs plus Facebook Login. Facebook is also shutting down search by email or username and changing its account recovery system after discovering malicious actors were using these to scrape people’s data. “Given the scale and sophistication of the activity we’ve seen, we believe most people on Facebook could have had their public profile scraped in this way” Facebook’s CTO Mike Schroepfer writes. Instagram will immediately shut down part of its old platform API that was scheduled for deprecation on July 31st. Instagram refused to comment, leading to developer frustration as their apps that analyze people’s followers and help them grow their audiences stopped working. This means if you are using a third-party product, app or connection to post to your Instagram – there is a good chance it no longer works as of today. Several social media sites report hundreds of posts about people’s Instagram accounts not loading today. Here are some details released by Instagram today. The APIs for follower lists, relationships, and commenting on public content will cease to function immediately. The December 11th, 2018 deprecation of public content reading APIs and the 2020 deprecation of basic profile info APIs will happen as scheduled, but it’s implemented rate limit reductions on them now. There are changes at Facebook as well. Chief among them is the function that allows Search by phone number or email will no longer work, as Facebook says it discovered malicious actors were using them to pair one piece of information with someone’s identity. Of all the changes, this may be the most damaging to the user experience. There is a lot more information on the overall impact on users in the next 24 hours. Please follow us on Facebook and Twitter to get the latest information. For a detailed (very technical) description of what happened today go to TechCrunch.